*This post is presented by Lee Jeans. I am all about the denim jacket outfit these days. In fact, you’ll see another one on Wednesday, which I’m super excited about. 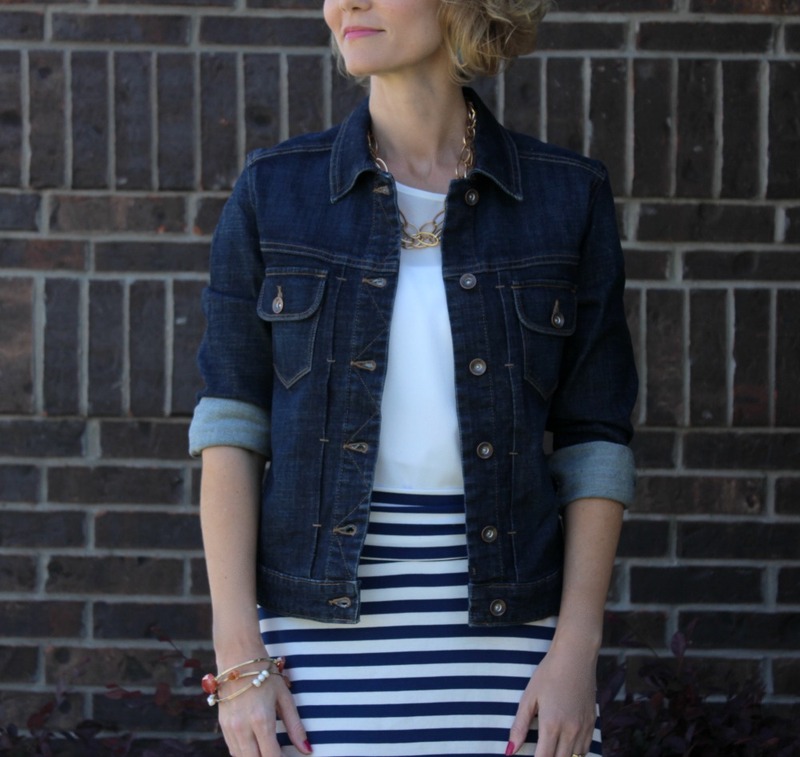 A denim jacket (or three) is a fantastic piece to own. You can wear it with a maxi skirt, shorts, white jeans or like I did for this feature – a skirt. It’s definitely a trend worth trying! If a skirt above the knee isn’t your thing, try it with a maxi dress. 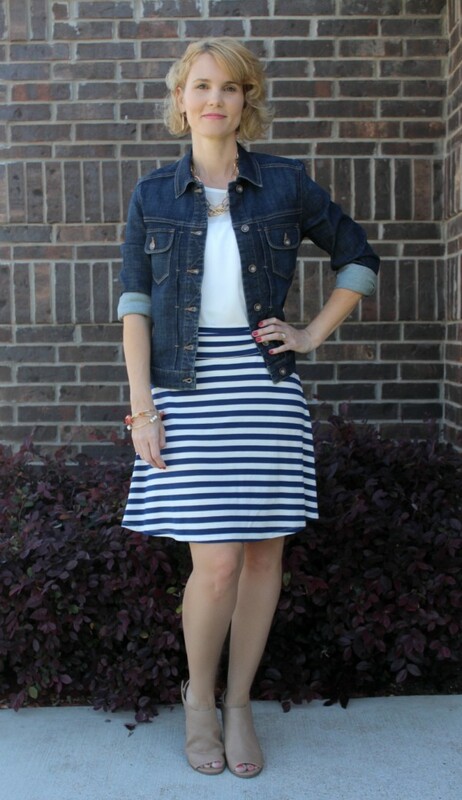 I’m pretty sure I could live in this denim jacket outfit. It is perfect for so many different places, whether it’s a lunch meeting, running errands or a casual date night with my husband. I have quite a few of these jackets, in different washes, but the one I’m wearing for this outfit is the Modern Fit Jean Jacket by Lee. It’s very affordable and I’m really pleased with the fit. 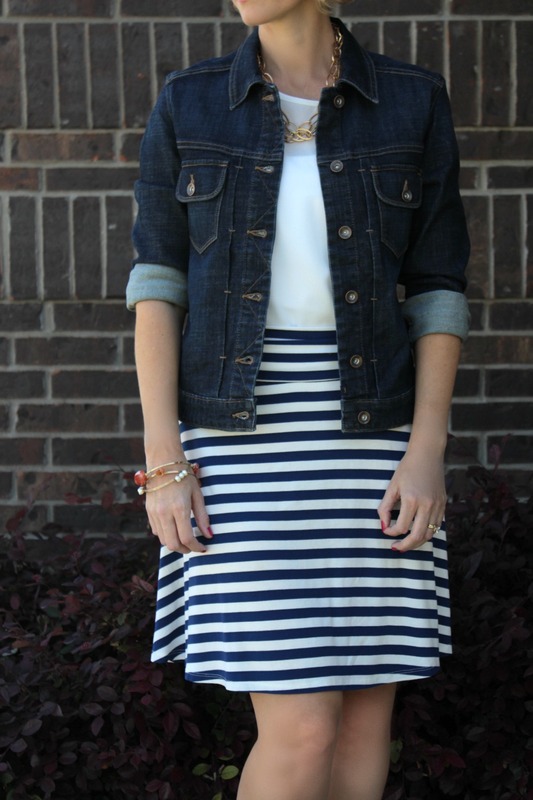 You want your jacket to be a little snug, because it looks better when paired with a skirt or maxi dress. You can get by with a slightly looser fit when wearing it with jeans, but a snug fit is generally more flattering. When it comes to this particular jacket, I would recommend ordering a size smaller than you’re used to. I usually wear a small, but could have gone down to an XS. Do you own any denim jackets? Have you tried this trend and if so, what did you wear it with? 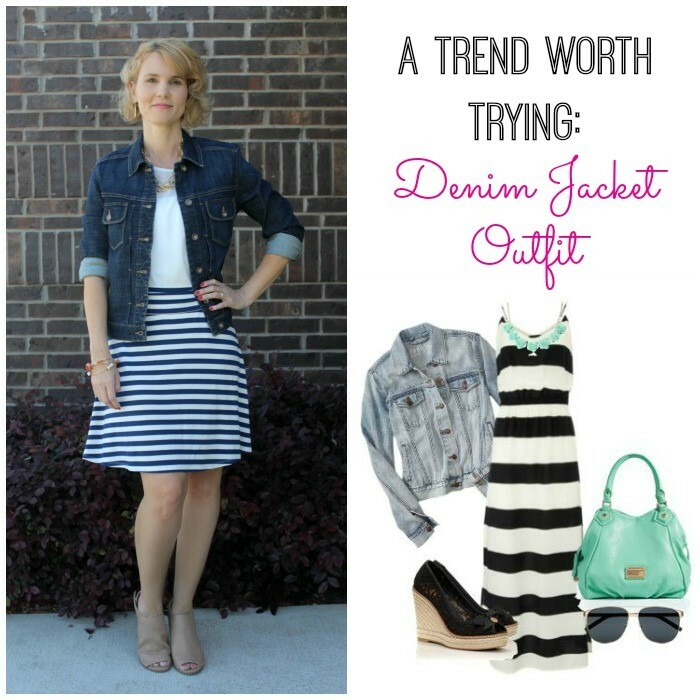 Love your fashion review about jean jackets and how to use it in casual wardrobe! Thank you so much Ursula! 🙂 I’m glad you liked it.